I am not really what you’d call religious. We do celebrate Christian religious holidays like Christmas and Easter – but we also eat latkes and spin dreidels during Hanukkah, just because we enjoy it. Ella and Annie were baptized in our wonderful, little Episcopal church back in Westchester; Ella’s (phenomenal) godparents are Jewish. I took the girls to church weekly for years, but I’ve never read the Bible. In fact, I’m unfamiliar with most biblical stories unless they’ve worked their way into popular lexicon. With that being said, religions have always fascinated me, both from a personal/ spiritual and a historical/ anthropological perspective. Theology is really cool; understanding the beliefs of different religions is something I believe in, deeply. Still, I haven’t exactly felt that belief, myself. I mean, I know that I believe – in God, in Jesus – but it’s never really moved me. I really wish it would. I want to figure out how to make sense of my liberal social politics, my love of science, the voices of my friends who feel that people who believe in God are either stupid or blind, my negative experiences with organized religion… but also that part inside of me that just knows there’s something more out there, that does believe in God, that wants to reconcile that belief with all the rest of the stuff I’m lugging around. Basically, I want to attend a church run by Anne Lamott, Glennon Doyle Melton, and maybe Brené Brown, too. These women rock my world. They curse. They openly support gay rights. They don’t take the Bible literally. They doubt. They wonder. They encourage and enlighten and broaden and brighten and inspire, not to mention that they’re freakin’ hilarious. BUT ALSO they feel super-tight with God and Jesus and don’t feel weird about saying so. I want me some of THAT religion. Alas, these three amazing women live nowhere near me… but I’ve found the spirit of their messages in the new little start-up church that I’ve been attending since October, Sophia Community. Every week, we gather together, read from the liturgy, and discuss it (“Um, what the heck is going on here? Why on earth would this be in the Bible? I really don’t like this passage.”). We wrestle with finding meaning in the words, even though we don’t take them literally. We pray, hard. It’s a completely safe space; every viewpoint is encouraged. There are no right answers, and I have loved every minute of it. Still, I’ve been waiting for the Big Moment — I mean, I’ve been reading biblical passages, I’ve been talking and thinking and opening my mind! I am talking about Jesus and it doesn’t feel totally weird!!! Surely my spiritual epiphany is just around the corner. COME AND GET ME, GOD! Well, it’s been a lot of months and no bolts of lightning. Damn it. When my grandma asked us if we were going to church on Easter (AH HA!) morning, I quickly answered (maybe a little too quickly) that we were not. 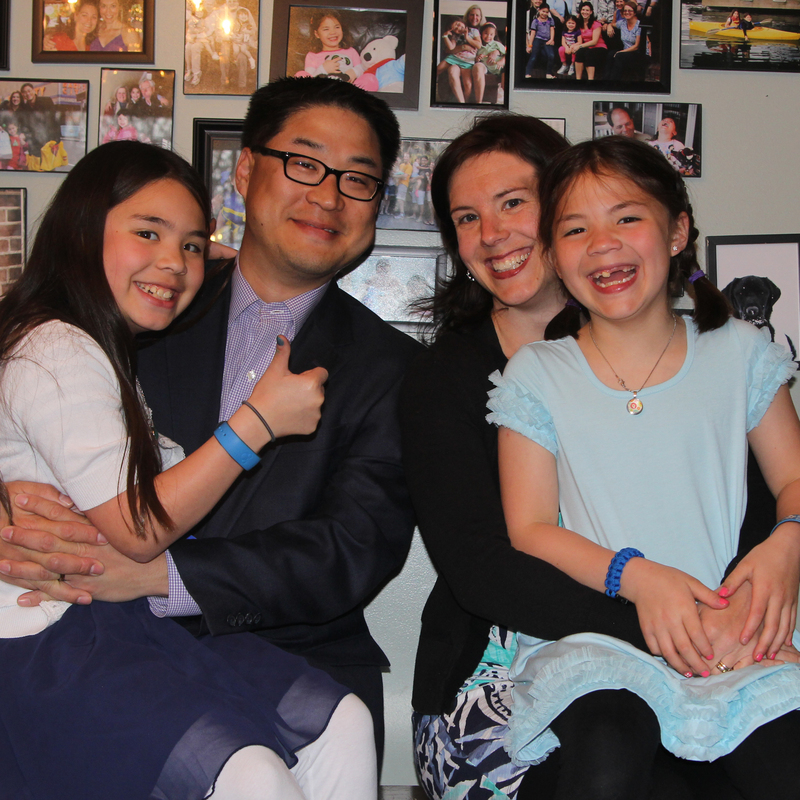 We used to for the sake of “tradition,” but when the girls began absolutely dreading the service and Easter morning became a combination of wrestling match meets bribery meets hysterical sobbing, I decided that the church traditions I really enjoyed on Easter were a) the music and b) wearing new clothes. Forcing Ella and Annie to sit through the service by shoving jelly beans in their mouths and threatening to take away their Easter baskets if they didn’t stop braiding the bookmarks in the hymnals just didn’t feel right… so we stopped going. Instead, for the past several years, I’ve pulled up the “Hallelujah Chorus” on YouTube and we’ve all slapped on new duds on our way to brunch and all has been right with the world. Well, almost all. A lot of people seem to get really excited about Easter – like really, really excited. 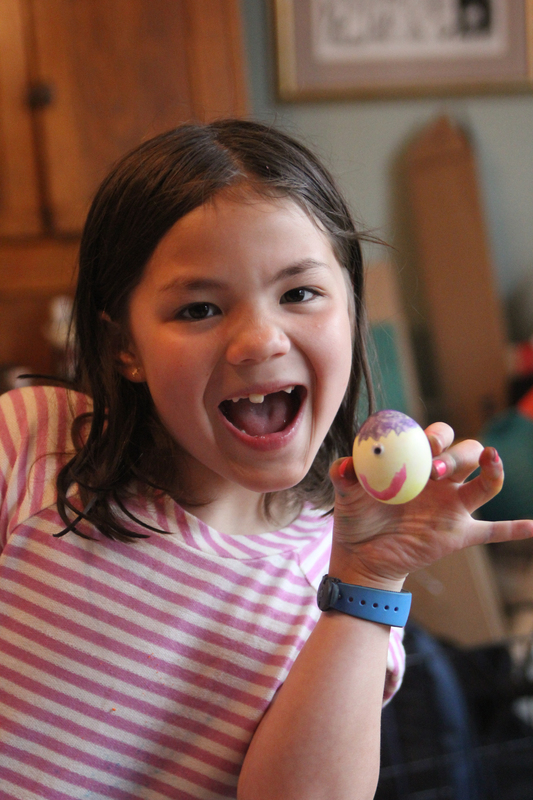 They exude this JOY about it that seems to go beyond excitement over Cadbury caramel eggs (it must be caramel; the creme eggs are gross). 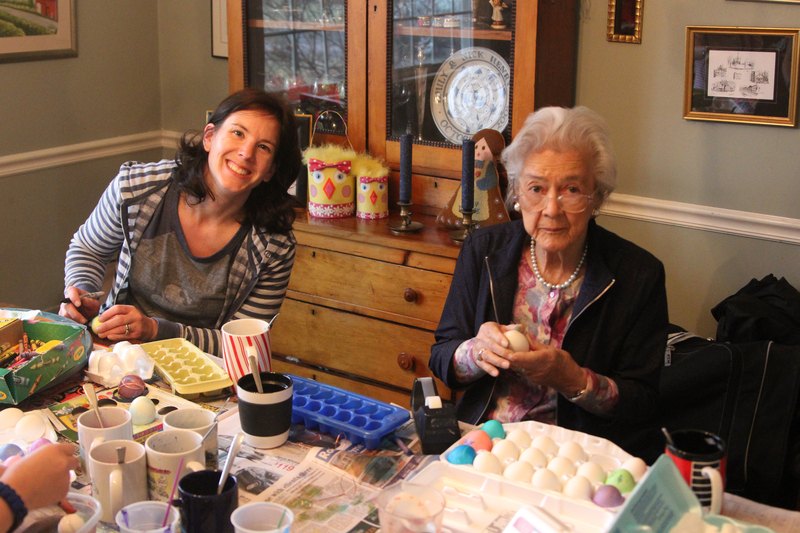 I, myself, get pretty psyched about those eggs and I love watching my girls with their baskets… but true joy at Easter has been basically nonexistent for me. This year, especially with all of my new Jesus knowledge, I wanted to find Easter joy. Joy is fun. Joy is feeling. I wanted to FEEL Easter. So, after the girls had gone to bed the night before the big day, I decided to haul my Bible and, for the first time ever, read the four New Testament accounts of the crucifixion and resurrection. The stories were interesting enough (I honestly had no idea that they were completely different from one another; I mean, it’s the same story four times – how different can it be? HAHAHA WRONG) and I was genuinely bummed out by the way that Jesus died, but I wasn’t moved. No joy for me. When Easter morning came around, the girls waited patiently for us to come downstairs so that they could earn their eggs. Yes, that’s the right word – earn. The previous day, Nick and I had told them that we didn’t have the energy to create an elaborate scavenger hunt for their eggs and baskets (as we did last year), but we could either hide their eggs or they could earn them. To our surprise, they chose B: earning their eggs. 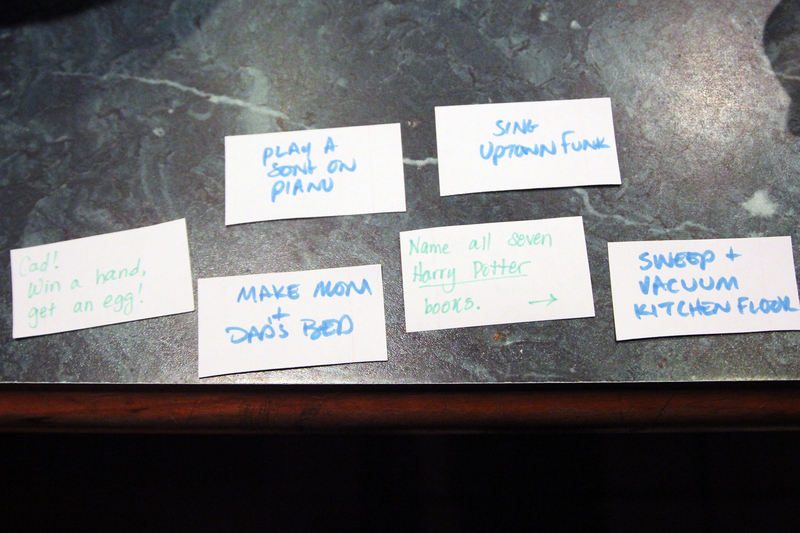 Nick and I hemmed and hawed over whether or not to make the tasks fun/silly or actual work. In the end, we chose a combination of both… with heavy emphasis on the silly… and wrote them down on little cards, to be chosen at random in the morning. 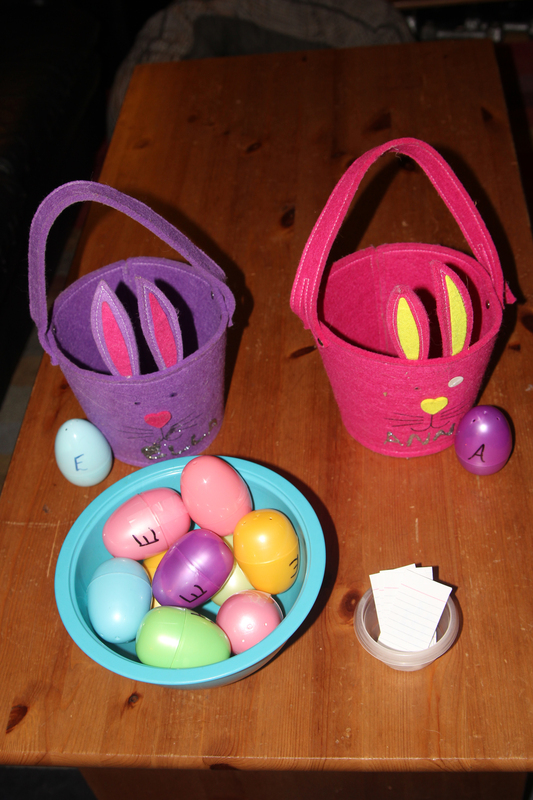 This is what awaited the girls when they came downstairs: a bowl with tasks to earn their eggs, the eggs themselves (one completed task = one egg), small baskets in which to put their eggs, and one final egg each that told them it was time to go find their actual baskets. 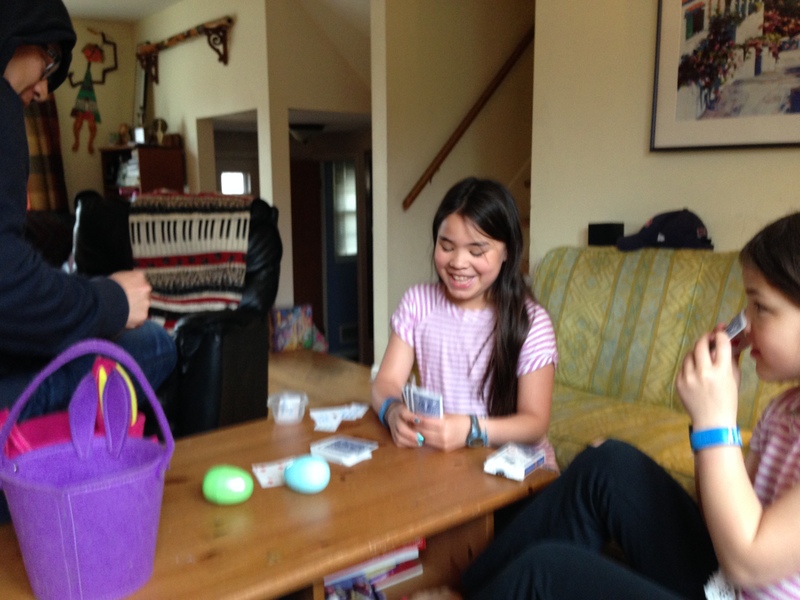 Giggling over Cad (a family card game). 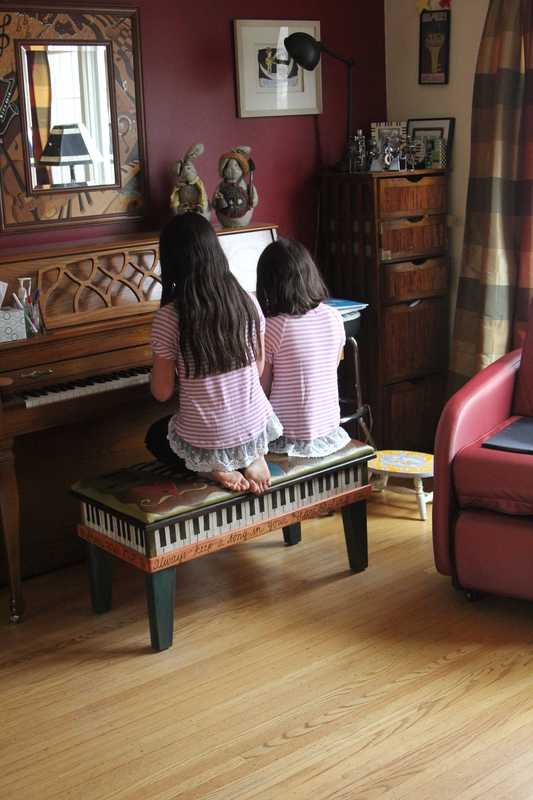 An Easter duet (okay, so it was “Heart and Soul,” but it totally captured the exuberant spirit of the day). Even the more “serious” tasks were met with gleeful enthusiasm… Chocolate and presents are powerful bribes motivators, y’all! Have you ever tried to explain Easter to young kids? Holy crap – it is THE CREEPIEST story EVER. Murder… coming back from the dead… walking around, talking to people… HOW WEIRD IS THAT?!?! Jesus is basically a zombie and everyone thinks it’s great. 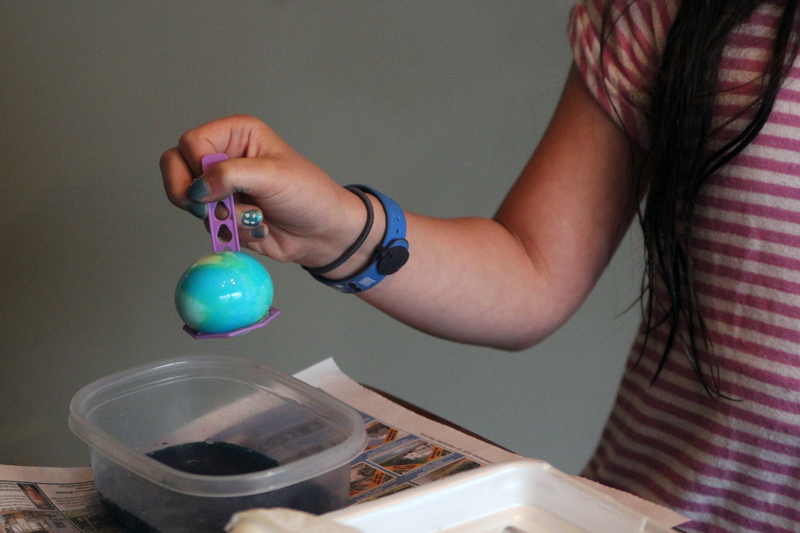 Let’s celebrate by dyeing eggs! Oh, and a bunny came to the house last night and dropped off a basket! Yay, Easter!! So I told Ella and Annie the story, they nodded their heads (“Oh, right… Jesus came back from the dead… I remember now…”), but I could see that, even though they’d heard me, it wasn’t making any sense. They didn’t get why Easter was so special. I understood. I mean, for the past 39 years, I haven’t gotten it, either. Mostly, I’ve been okay with this. Easter’s just strange; no need to “get it” to have a good time. As the day went on, however, I grew unsatisfied with my answer. Because, frankly, Zombie Jesus isn’t a very happy thought. Just ’cause the Bible says it’s special doesn’t make it feel special – not for me, anyway. I wanted more. So I told them what I’ve learned, starting with ideas I’ve heard from Sophia Community, from Anne Lamott and Glennon Doyle Melton. As I went on, though, I discovered my own ideas — about why Jesus was different from the people who’d come before him, how he was really an awfully cool and amazing guy, how radically new his message was — not about God and the bible and “being saved,” but about us. About how we’re just right exactly as we are, about how we don’t need to do any more to be worthy of being loved; we are, with our flaws and imperfections, exactly who we are supposed to be. We are each enough, and we are loved, and we can do this. It doesn’t matter if the story if real, I told them. It doesn’t matter if it ever happened. It doesn’t even matter if Jesus was real (although I think most scholars agree that he was, in fact, a real actual human; the whole divine thing is up for grabs). What matters – for me – is the message that Jesus, or even the idea of Jesus, spread: the message of love, of connectedness, of wholeness, of you are good enough just as you are. I have no idea if any of this really happened, but it doesn’t make a difference; the message, and how that message makes me feel, is what matters. And as I spoke, I felt this very unfamiliar thing burbling up inside me – a little like indigestion, except it was happiness. It was joy. Easter brunch in our fancy duds. Tradition, preserved! All these months, I’ve been looking for my religion – in church, in books, online, in discussions. I’d hoped, if I figured out enough, if I learned enough, that I would find God or Jesus or something; I’d hoped I would feel it. Turns out, my religion’s been right here inside me all along. (This is sounding an awful lot like The Wizard of Oz…) It’s in card games on Easter morning, it’s in the “You were great!” text from a friend, it’s in the holding open the door for someone at the mall, it’s in your husband and mom and dad being proud of you, it’s in the hugs that my girls give me each night before they go to sleep. I still don’t consider myself religious, but I have definitely got religion. 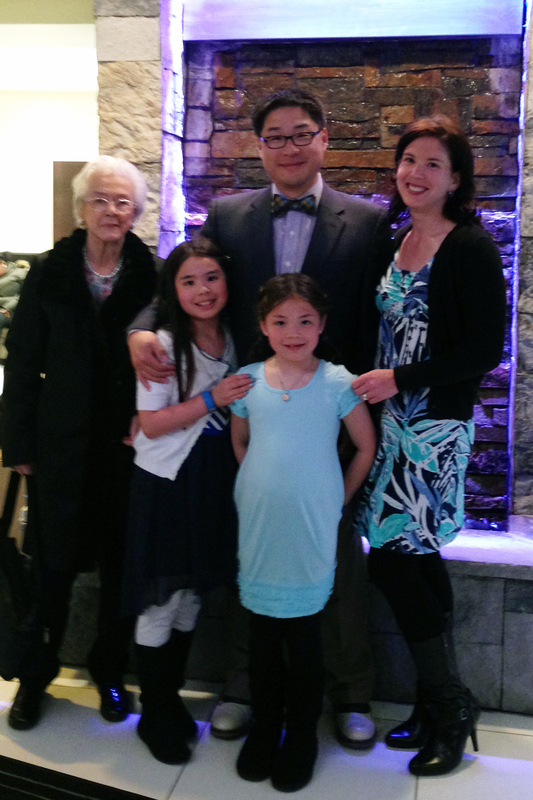 My little heathens and me all gussied up on Easter. They are my religion, every last one of them.